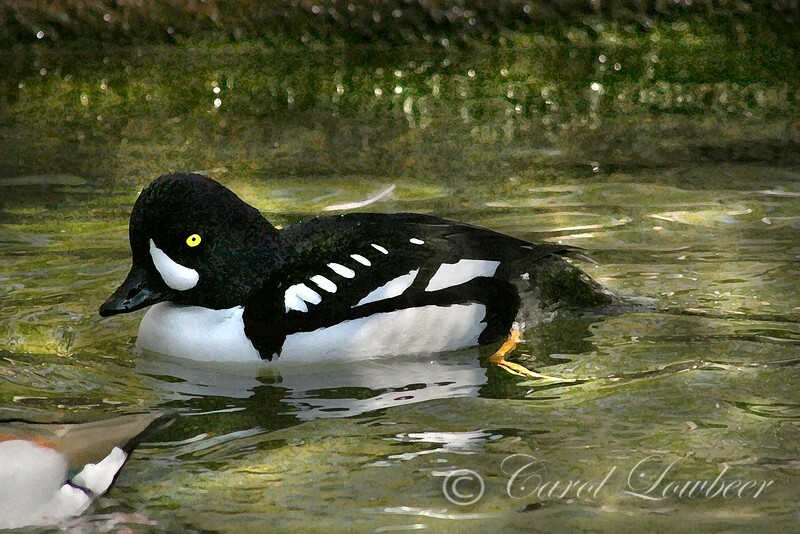 A medium-sized black-and-white diving duck, the Barrow's Goldeneye is originally from Iceland. It is, however, primarily a duck of the western mountains of North America & Canada. The drake sports a crescent shaped white patch on the side of his face & has golden yellow eyes. The female is chocolate brown. He can live until 18 years of age.